Chris Herard has been involved in the marching arts for over 25 years as a performer, instructor, director and choreographer. He currently is Head of Fine Arts at Bishop Carroll High School in Calgary, Canada. He has adjudicated and guest conducted in Brazil, Germany, Denmark, Malaysia, Taiwan, Hong Kong, China, Japan, Italy, USA and across Canada. Chris’ choreography and ensembles have won numerous gold medals at WAMSB and other top level events around the world. 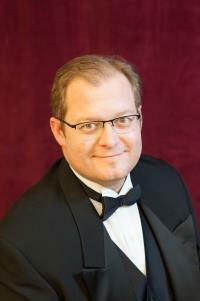 Chris holds degrees in Music and Education and has completed his Master’s degree in Music Education at the University of Hawaii. He serves on the selection committee for the John Phillip Sousa Foundation’s “Sudler Shield”, and is a member of Phi Beta Mu. As a performer, Chris has travelled around the world as an instrumentalist and singer, has over 20 recordings to his credit and was inducted into the Canadian A Cappella Hall of Fame in 2009. Chris is a founding member of CADME, the Calgary Association for the Development of Music Education, an organization that has proudly granted over $750,000 to local music education initiatives over the past several years. He is a member of the Canadian Academy of Recording Arts and Sciences the Alberta Band Association, the American Federation of Musicians, the Alberta International Band Festival, and WAMSB.